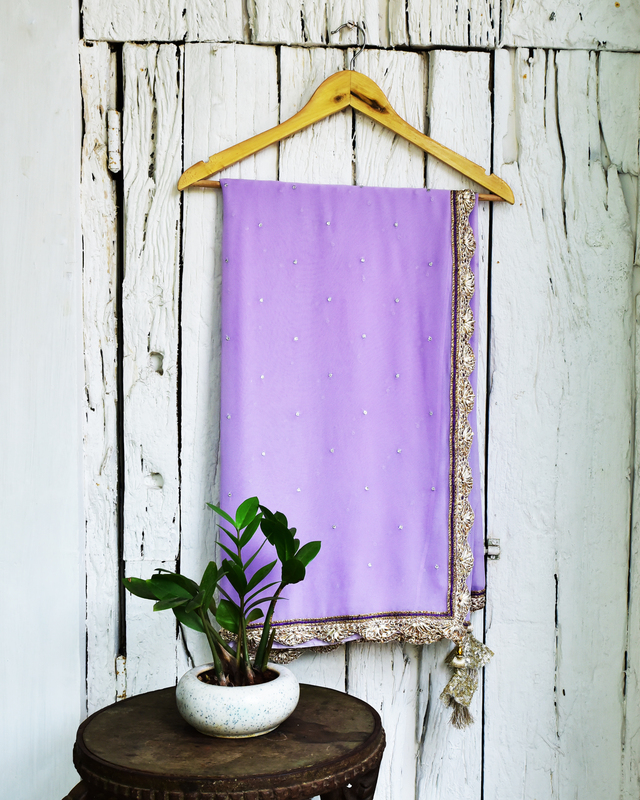 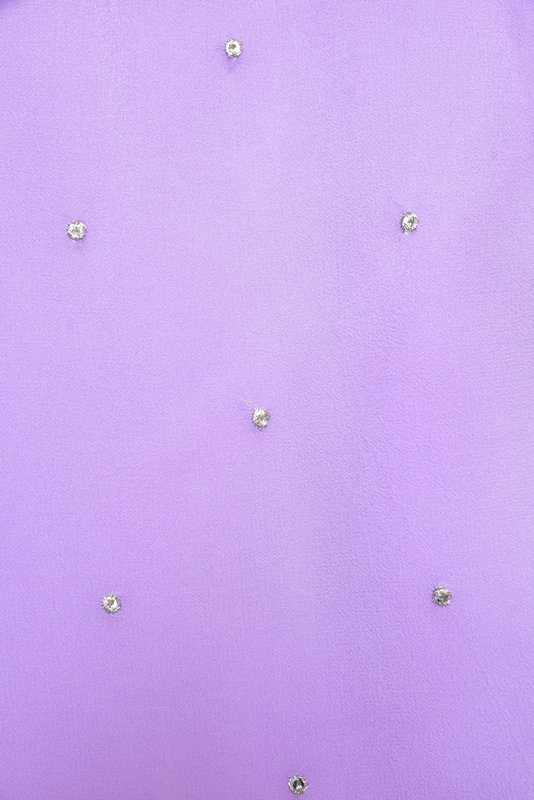 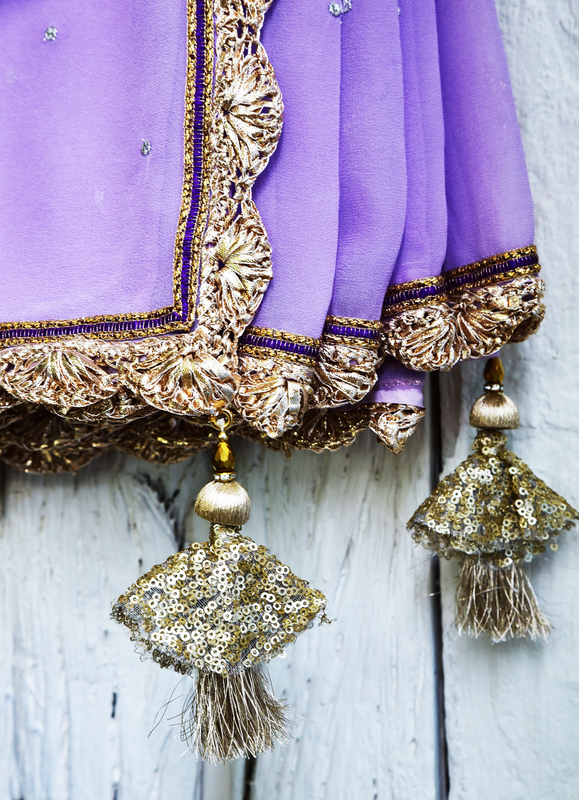 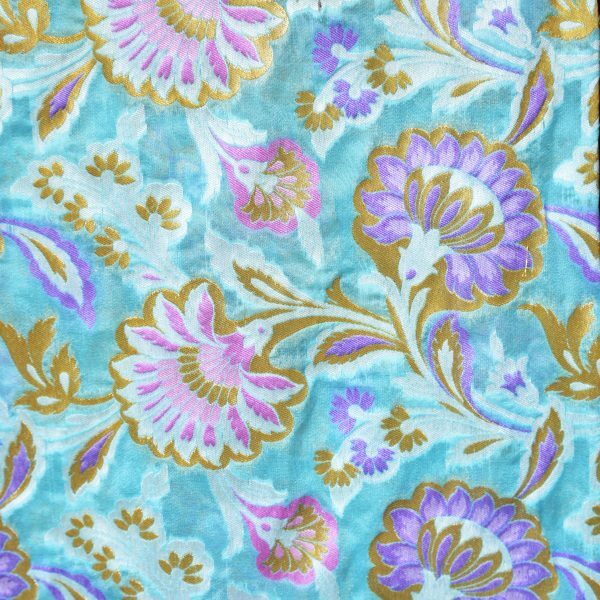 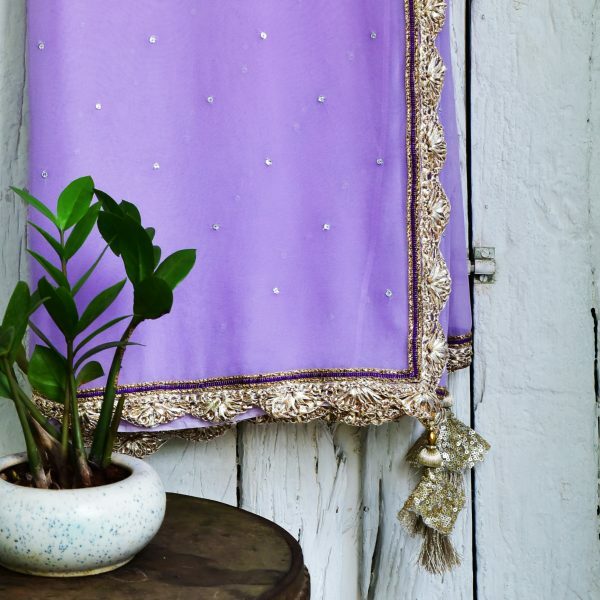 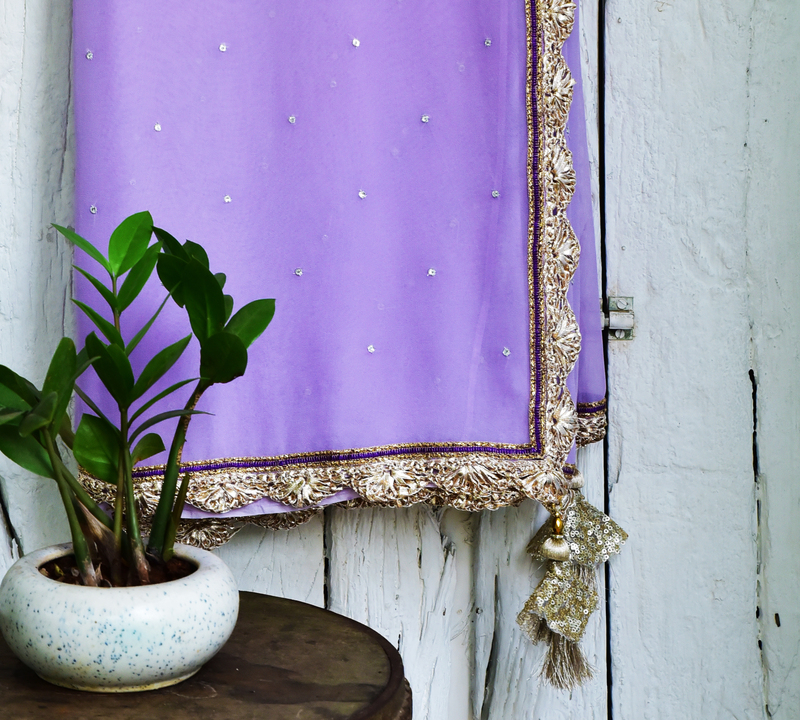 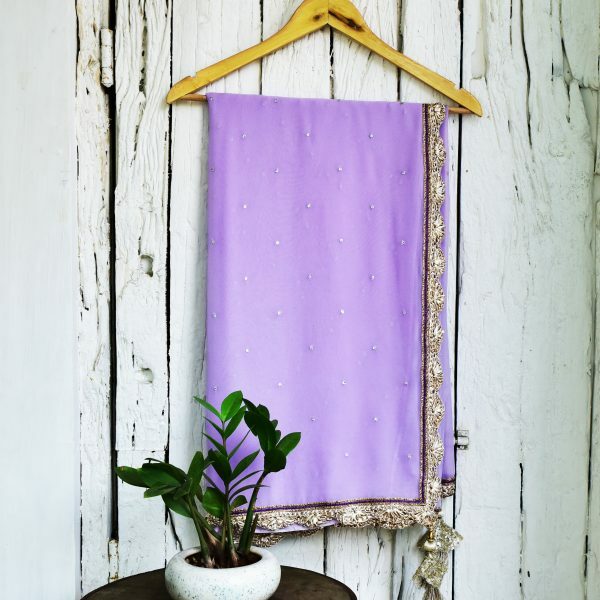 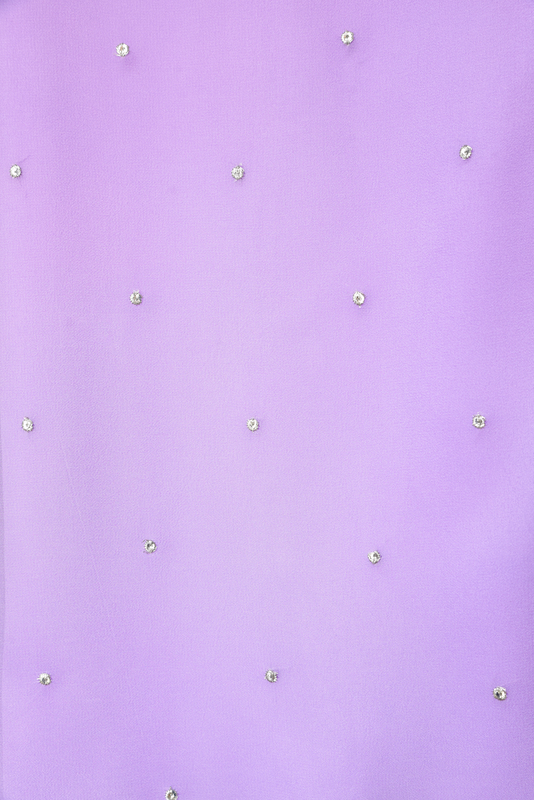 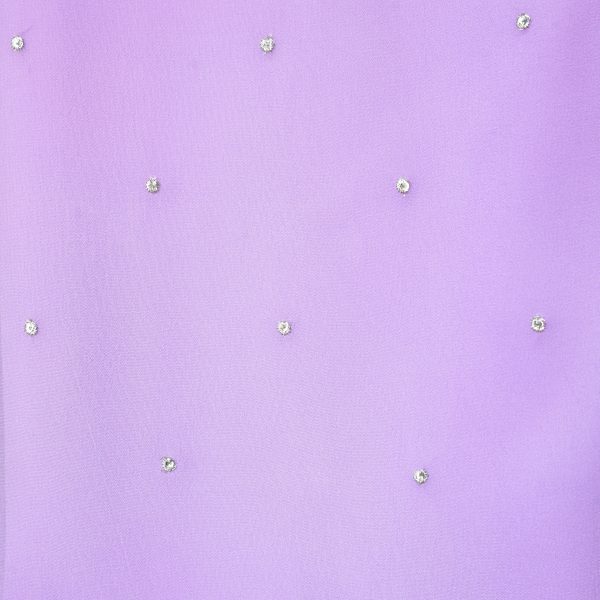 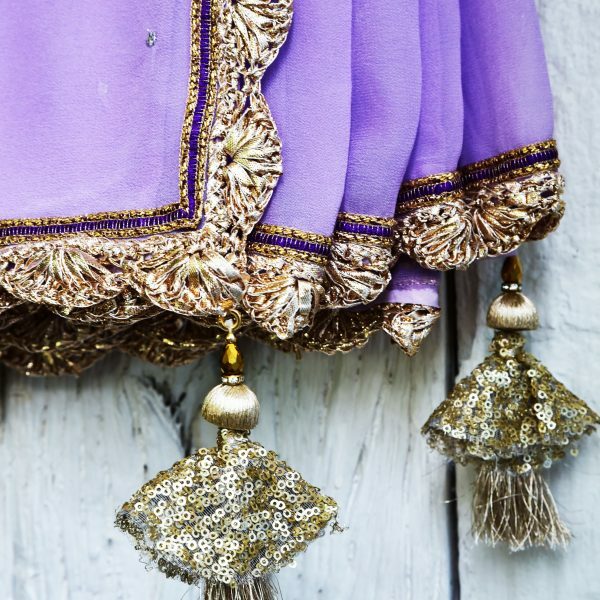 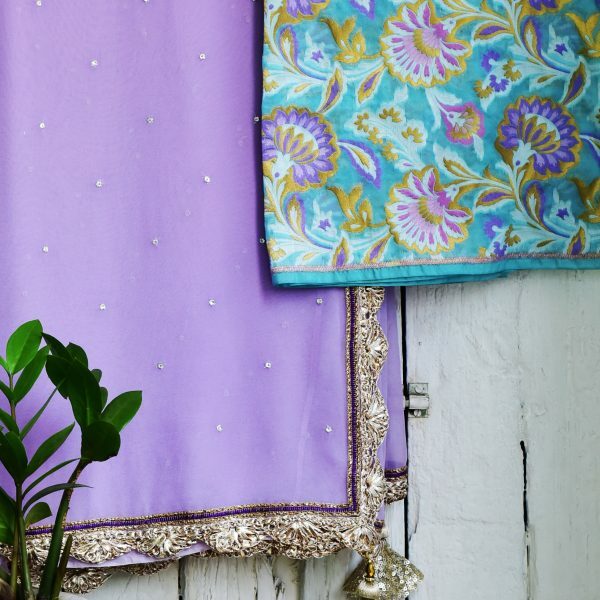 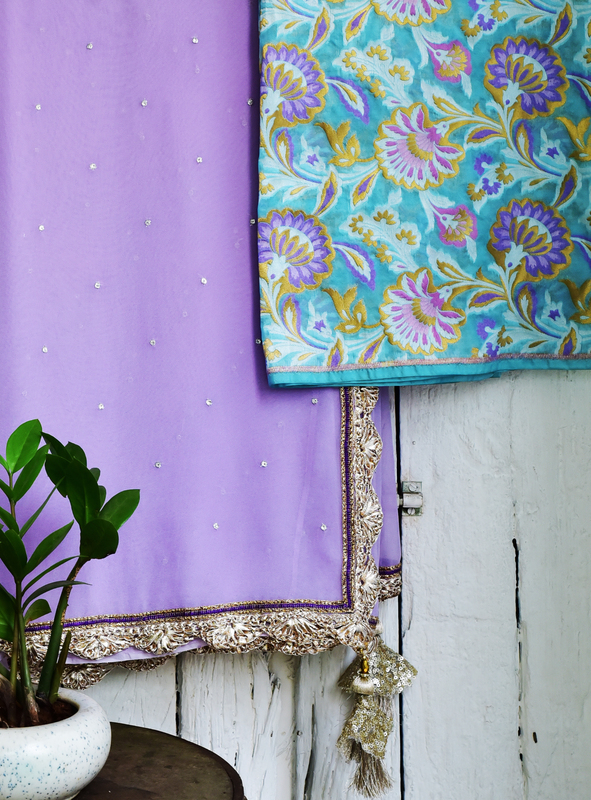 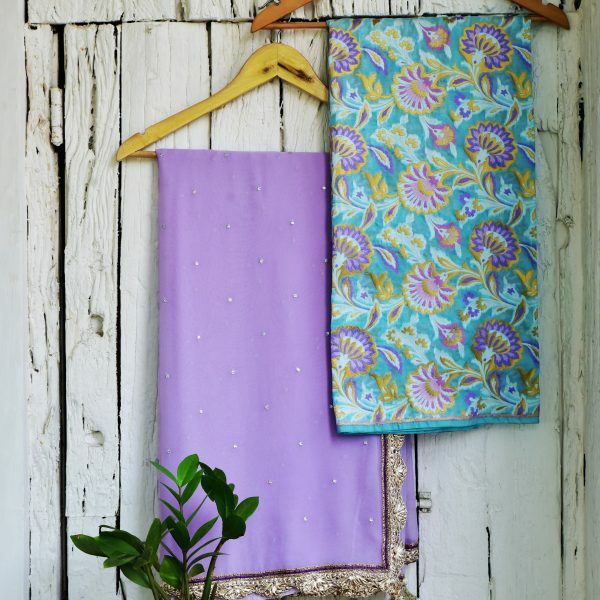 Pure georgette sari in pale lavender with silver sequins all over the body, with a metallic rose gold scalloped zari border. 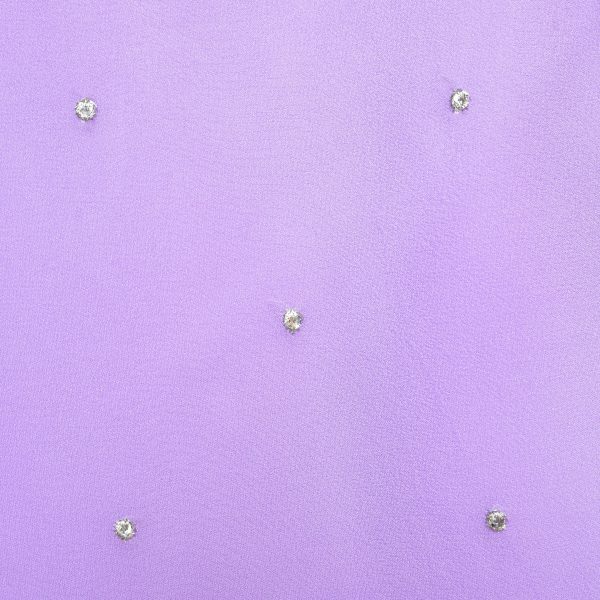 With matching rose gold latkans. 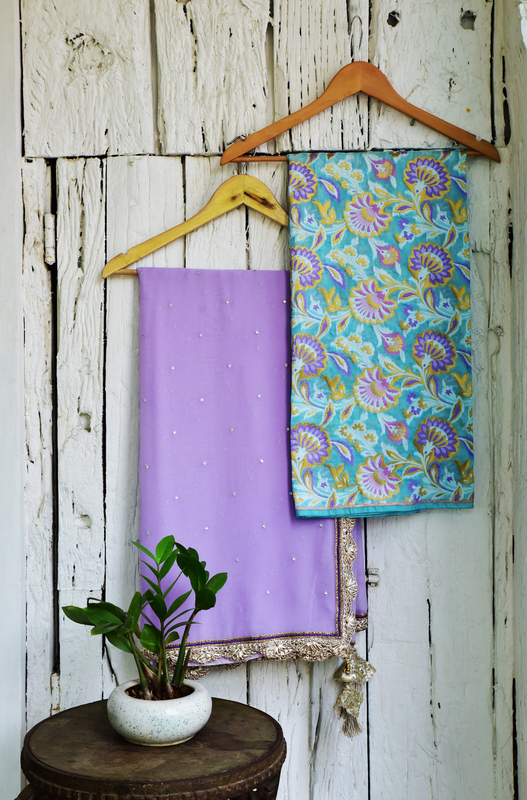 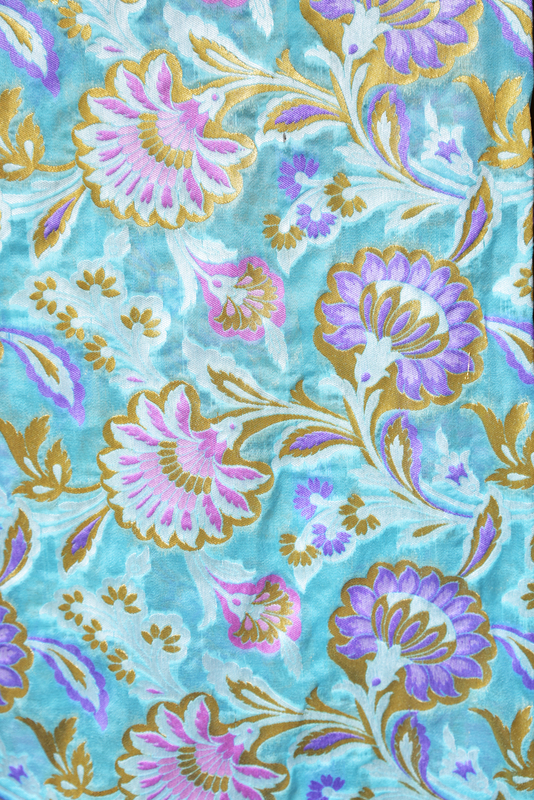 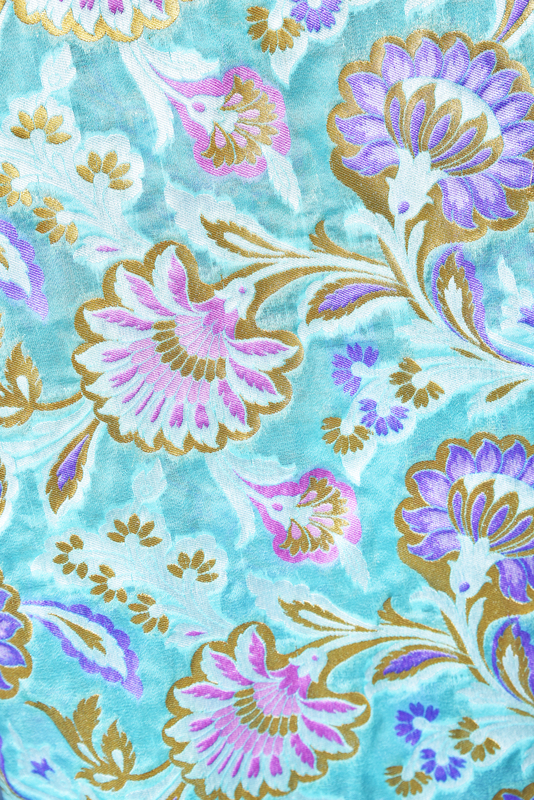 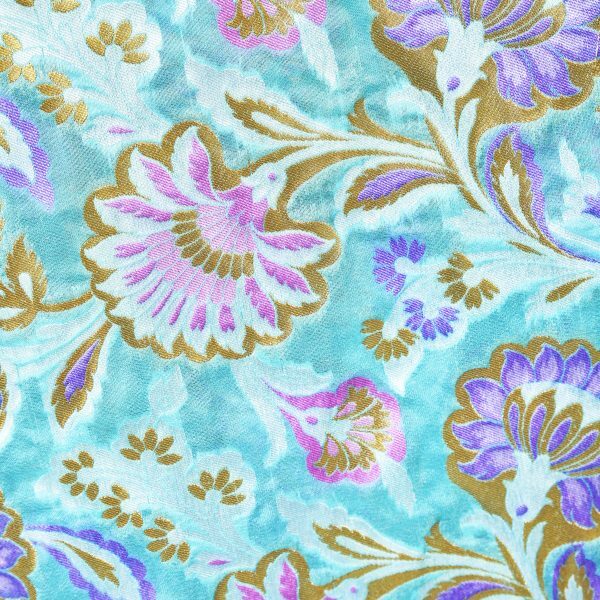 A tassar silk blouse piece in a mint and lavender print, and a matching satin petticoat also provided.